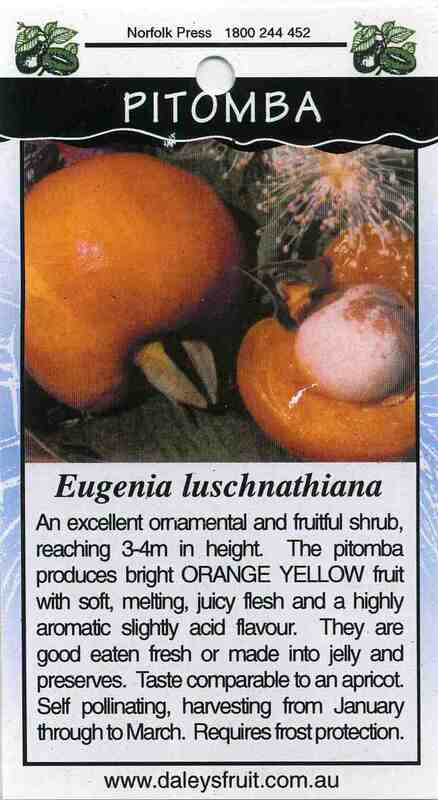 An excellent ornamental and fruitful shrub, reaching 3-4m in height The Pitomba produces bright ORANGE YELLOW fruit with soft, melting, juicy flesh and a highly aromatic slightly acid flavour. They are good eaten fresh or made into jelly and . preserves. Taste comparable to an apricot Self pollinating, harvesting from January through to March. Requires frost protection.